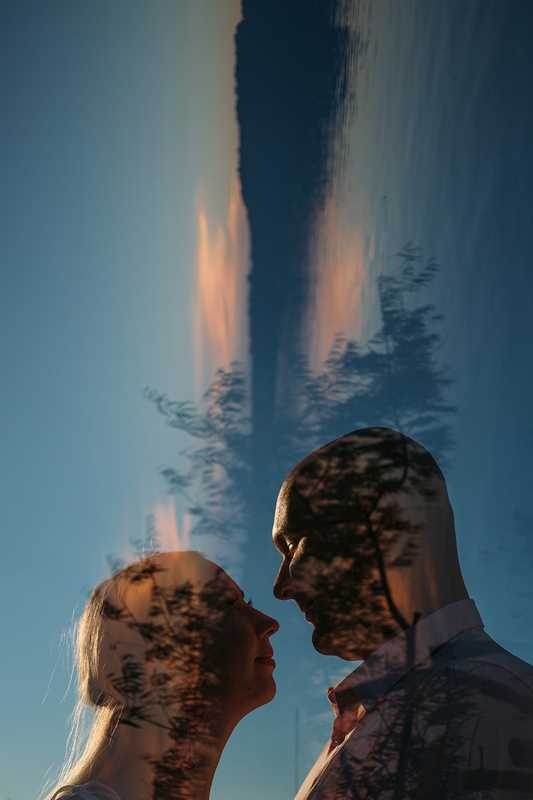 Electric. 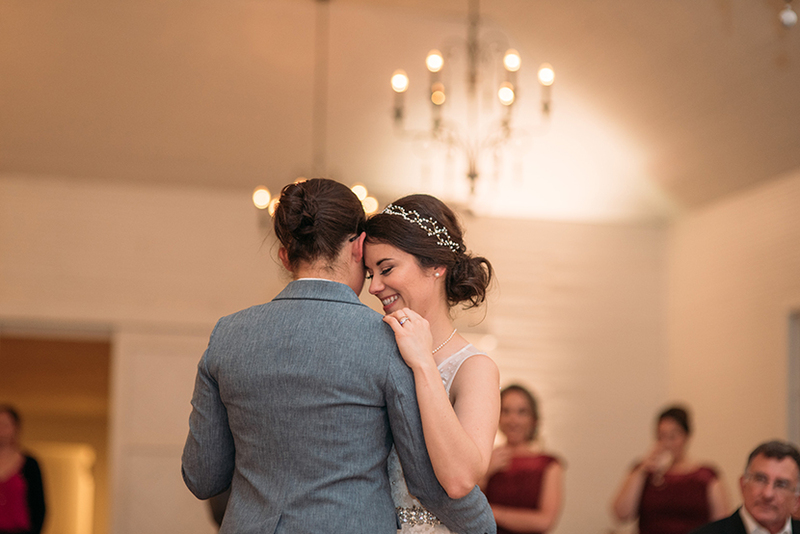 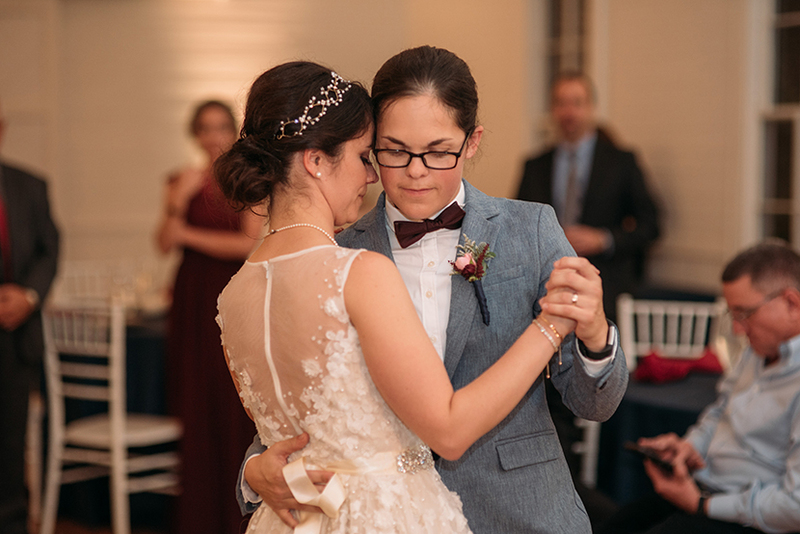 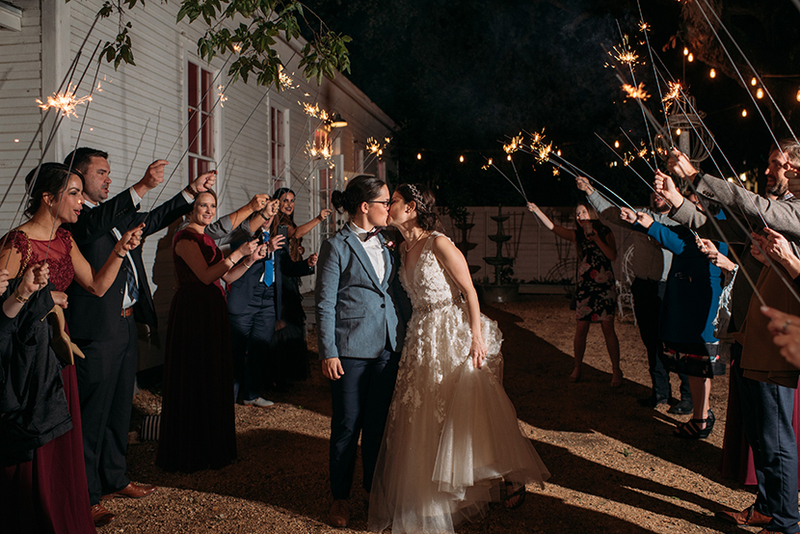 Christa and Laura saw each other for the first time and sparks flew instantly. 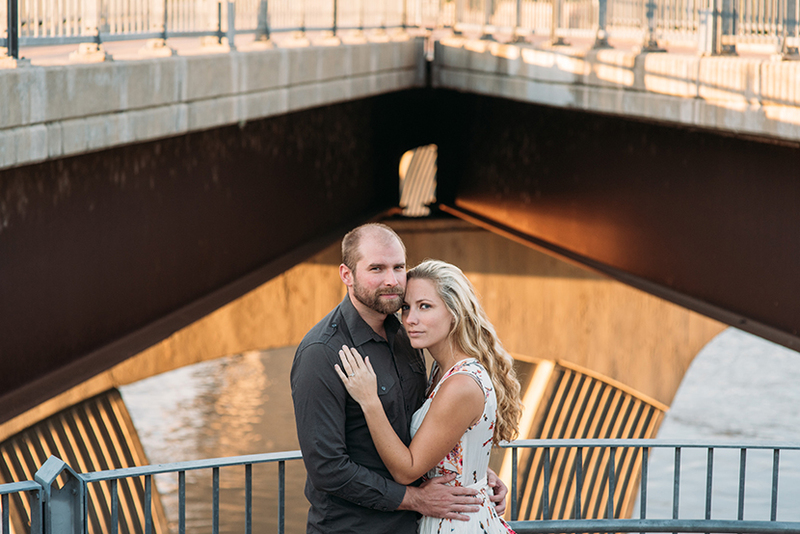 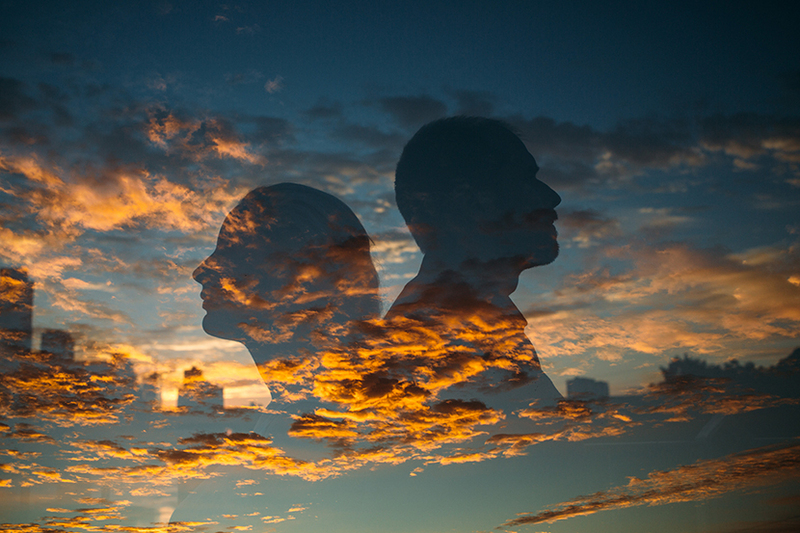 Soon, their lives intertwined and they were engaged and planning a wedding! 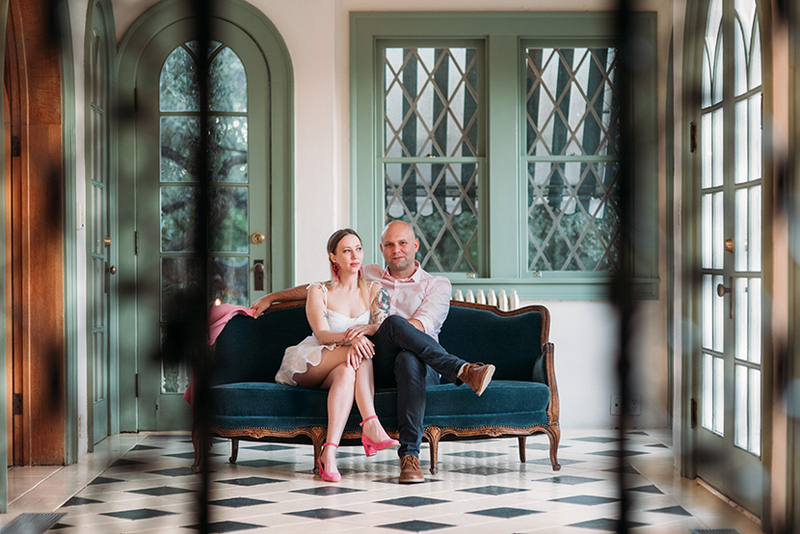 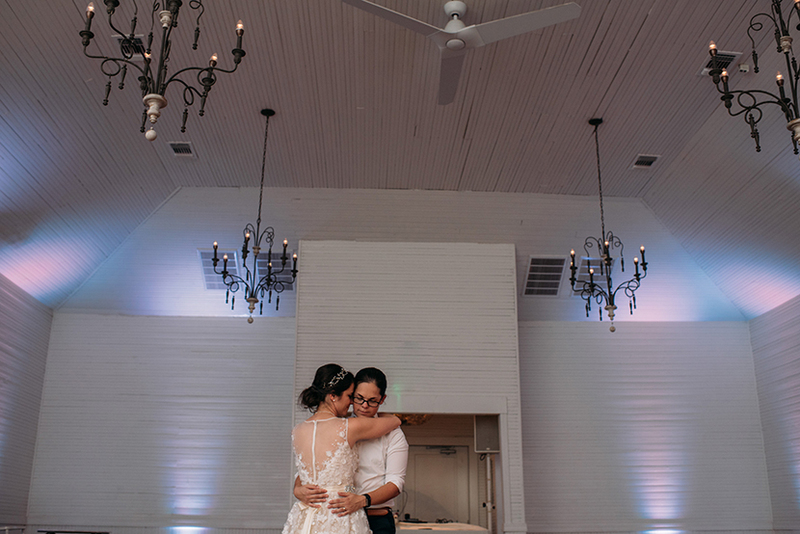 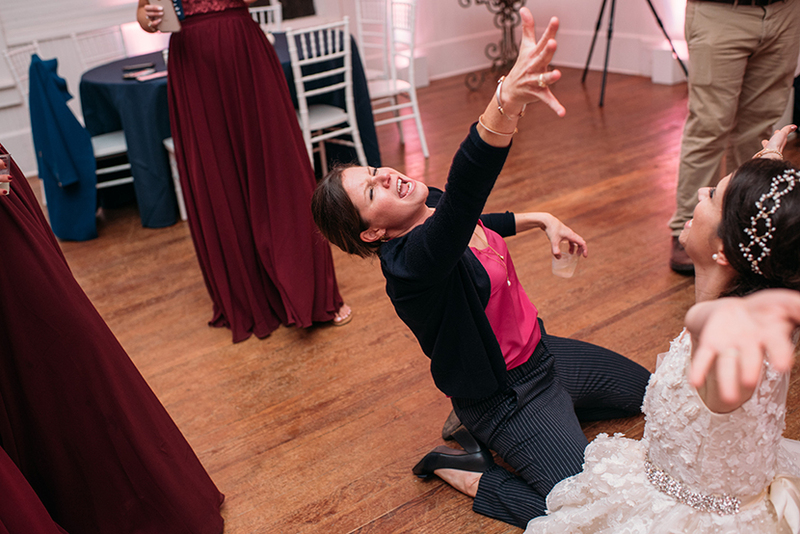 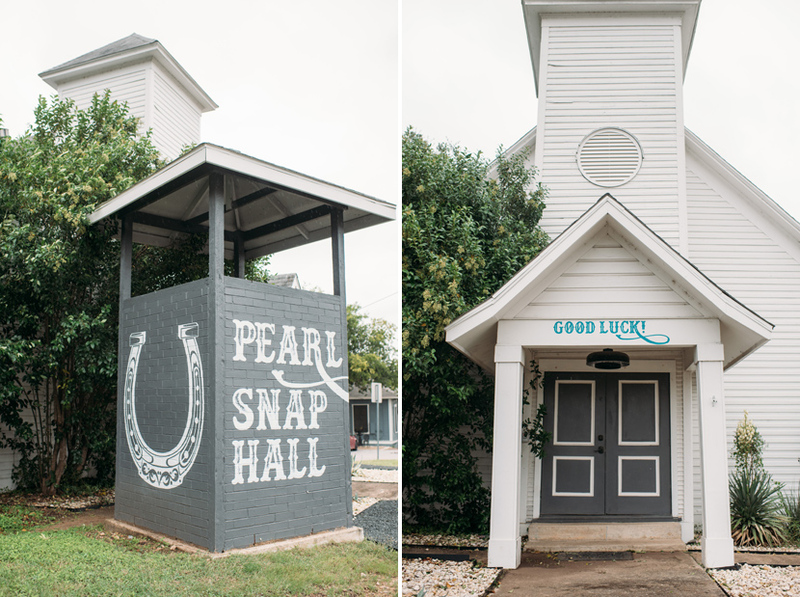 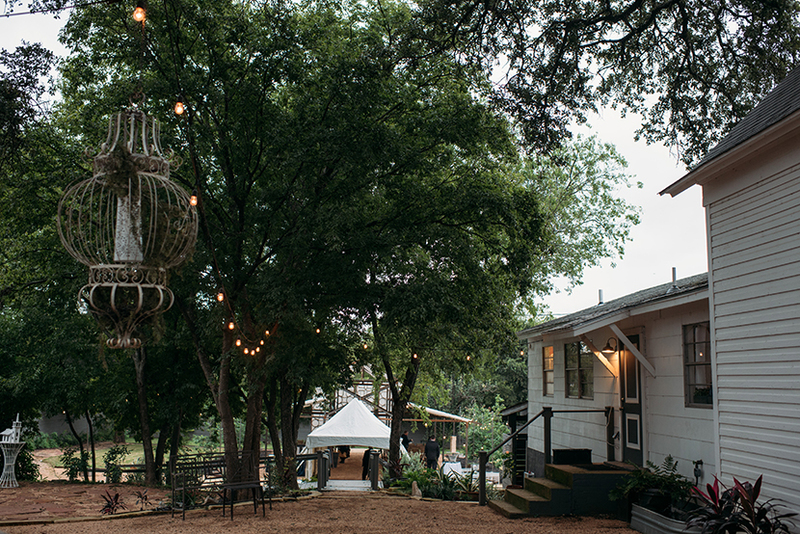 I’d never been to the charming Georgetown, TX venue Pearl Snap Hall until their nuptials but I hope to be back again. 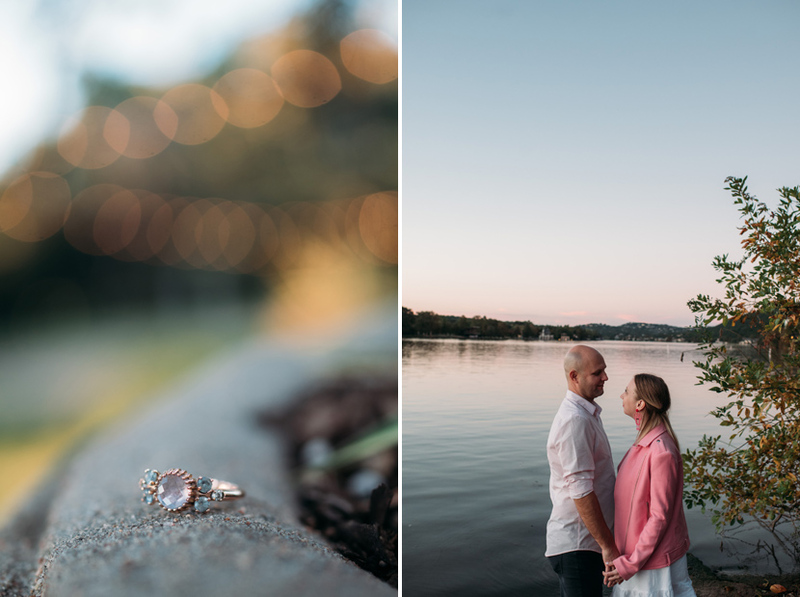 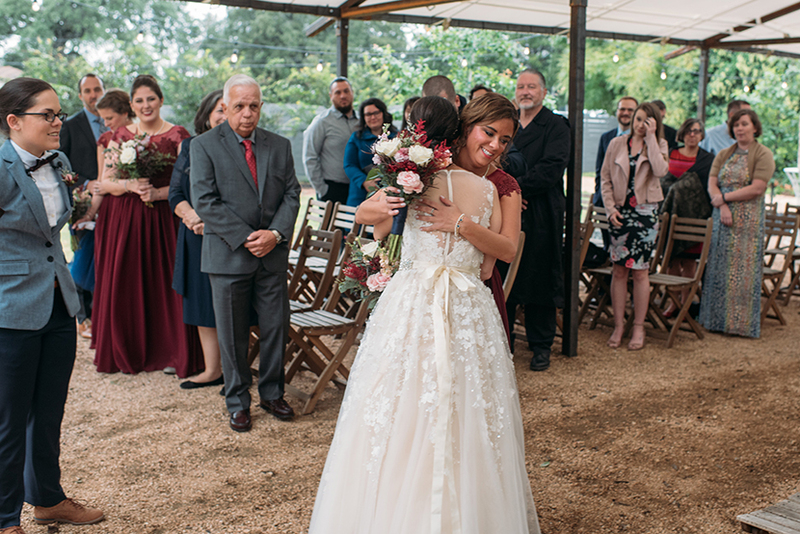 The entire week leading up to their Thursday wedding was rainy and gloomy, and it sprinkled a little on their day — but the good weather held. 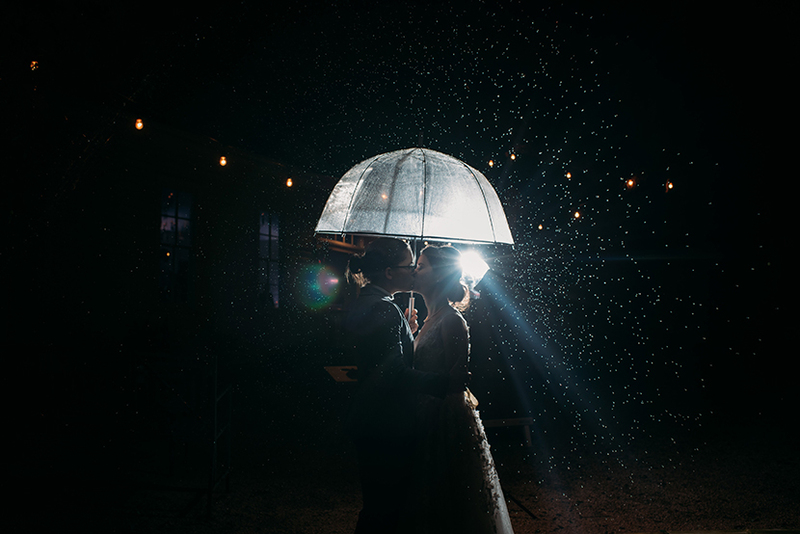 Amusingly enough, I had their event coordinator Maggie (from Eleven Roses Events) spray a hose over the couple to get a rain shot, because it fit the feel of the day so much but the weather gods weren’t cooperating. 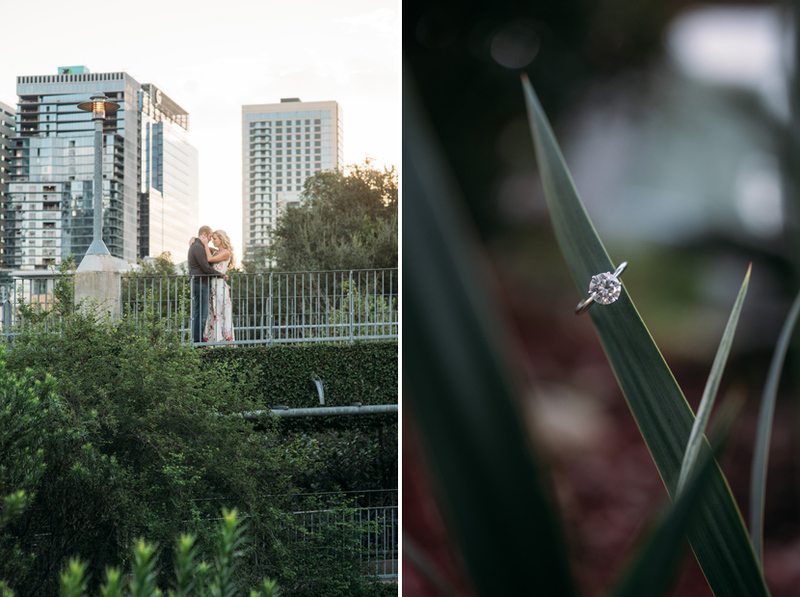 It’s strange when a photographer hopes for rain, I guess. 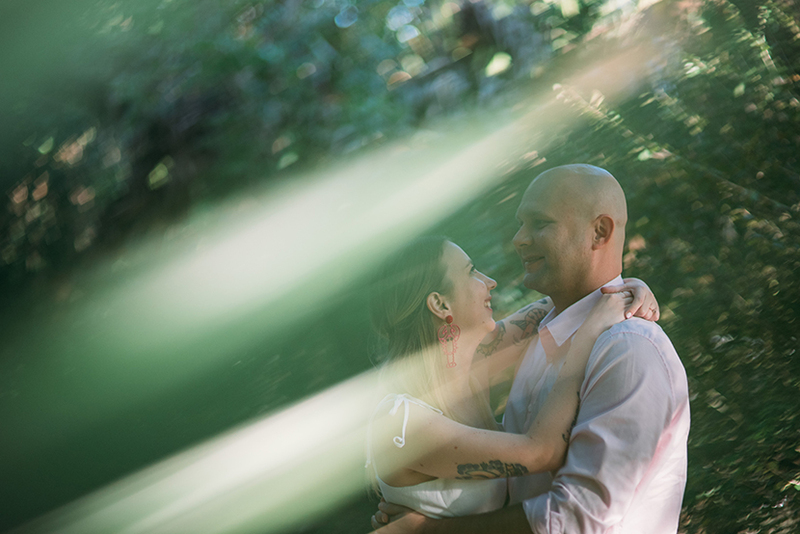 :) I don’t usually manufacture weather but the day called for it! 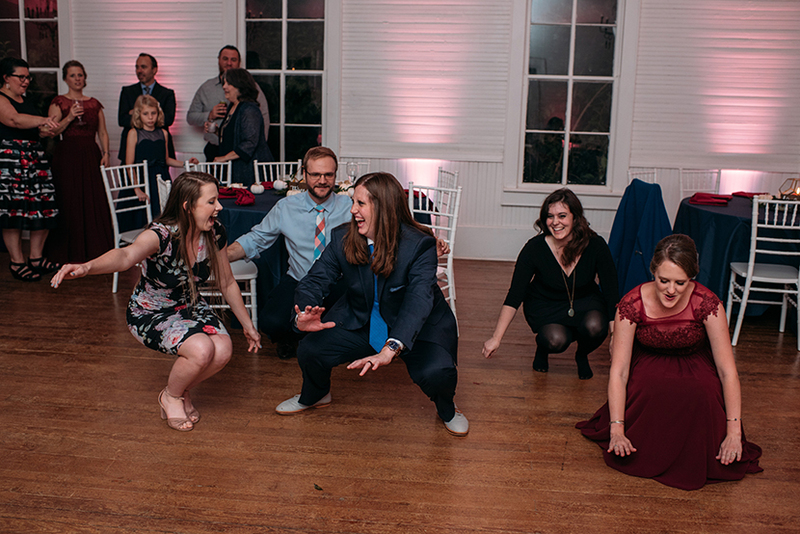 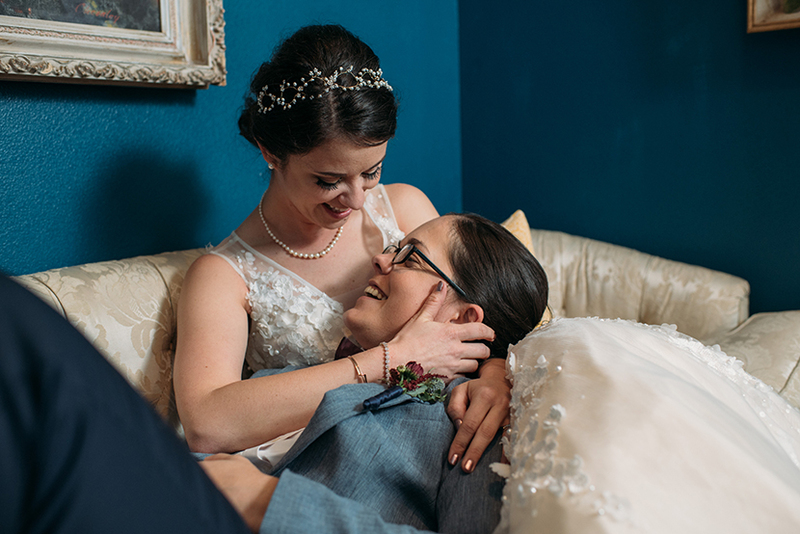 The entire wedding was chill and homey and happy. 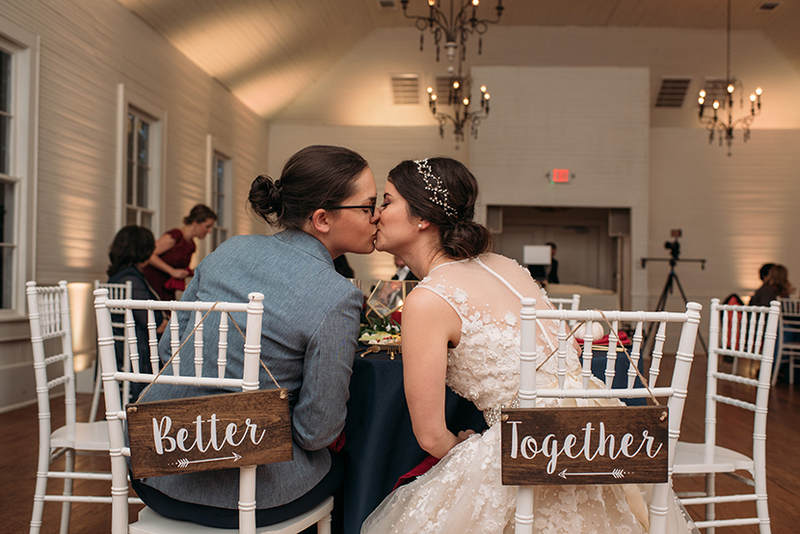 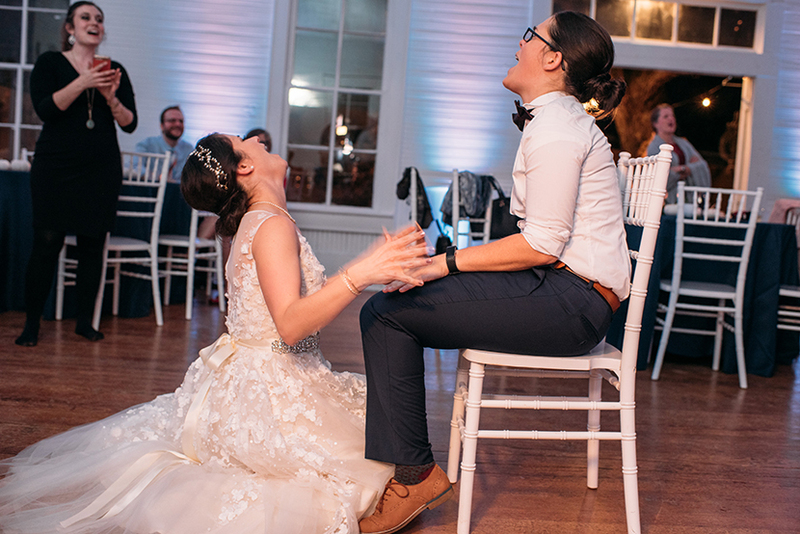 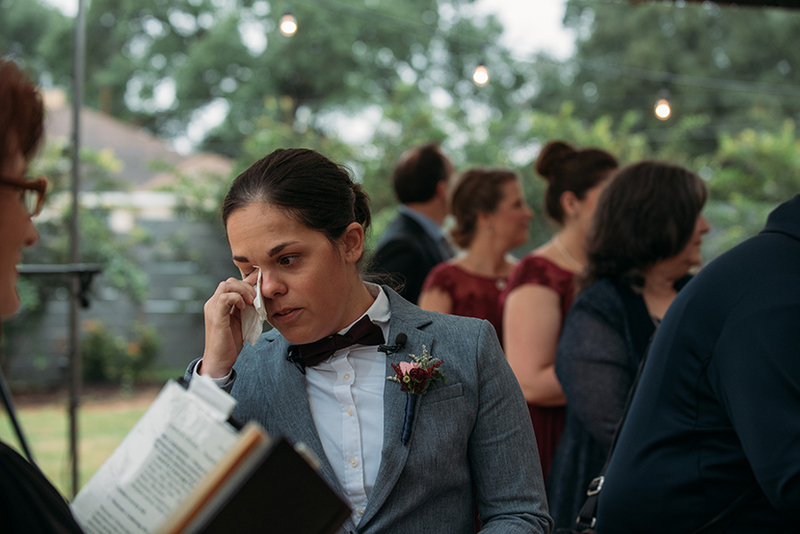 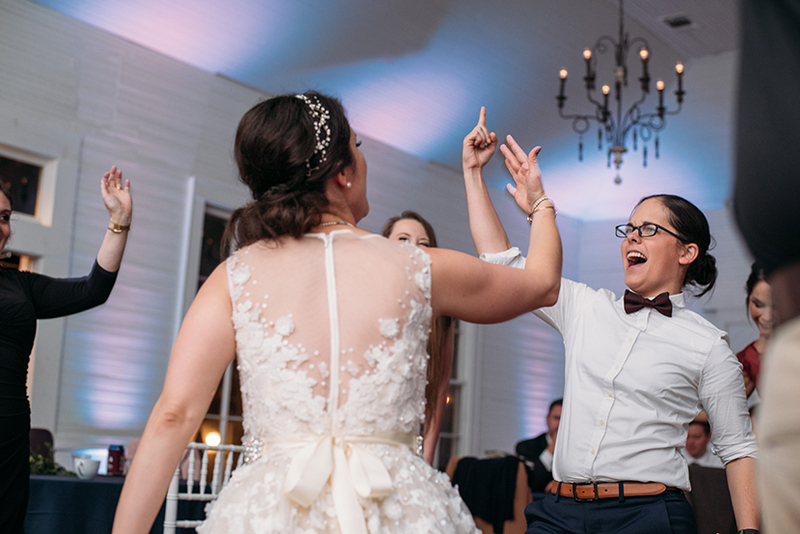 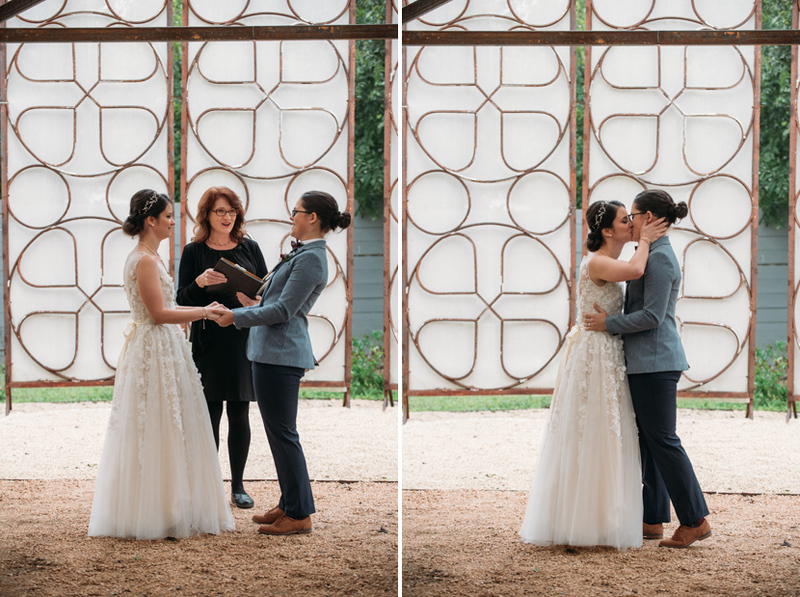 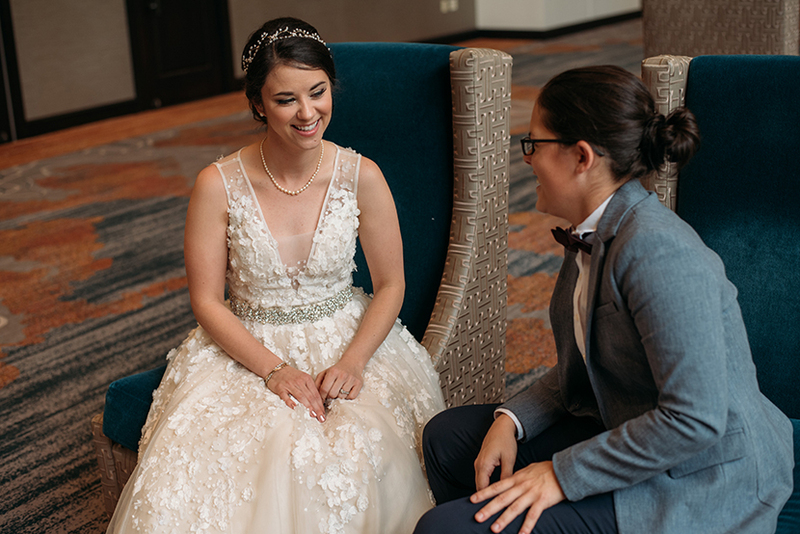 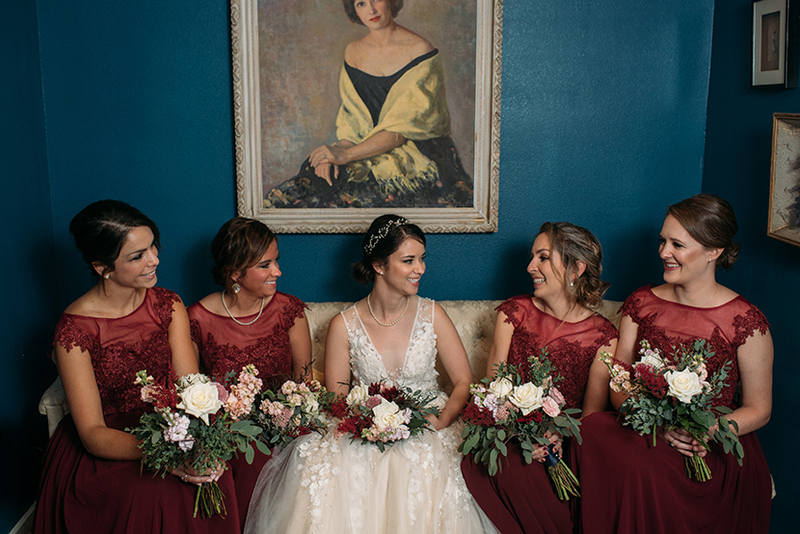 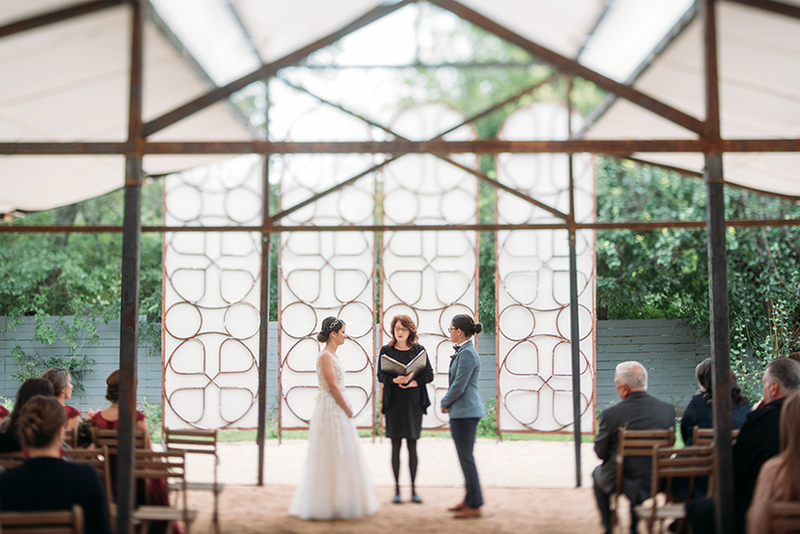 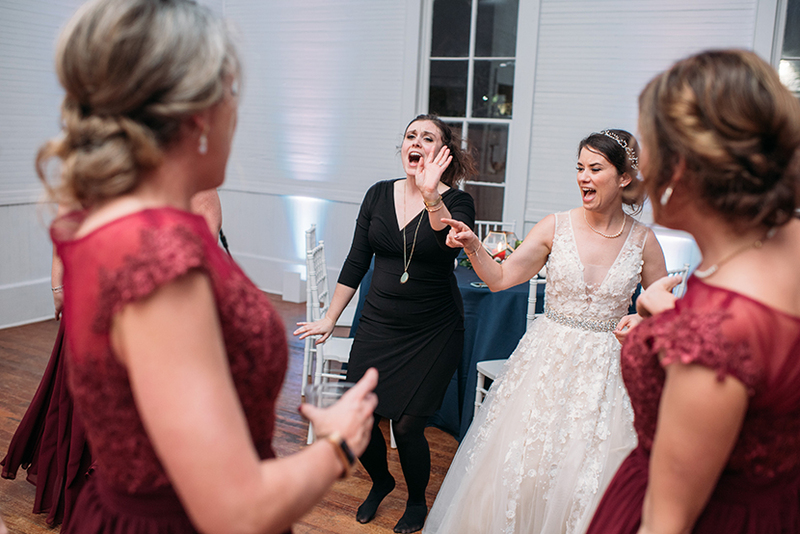 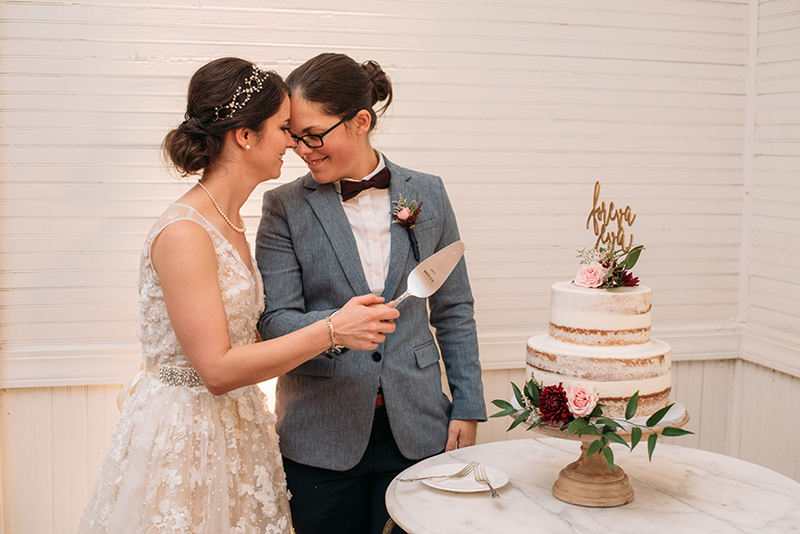 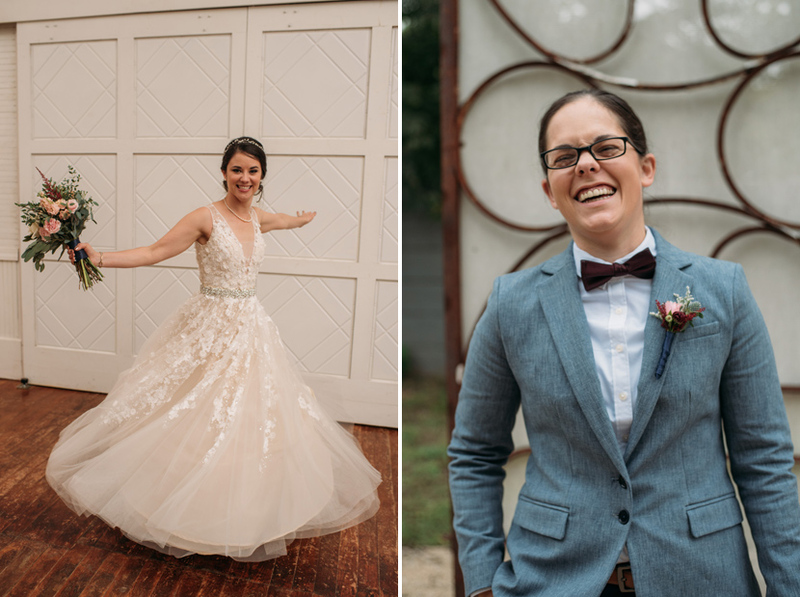 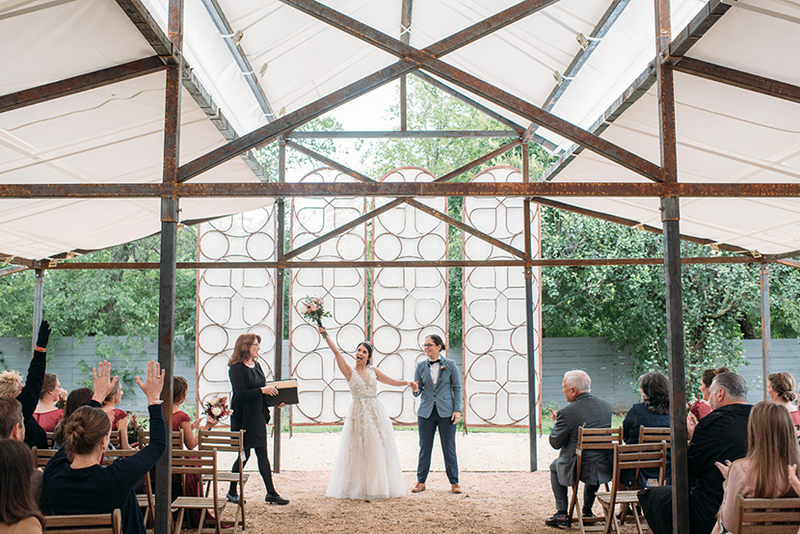 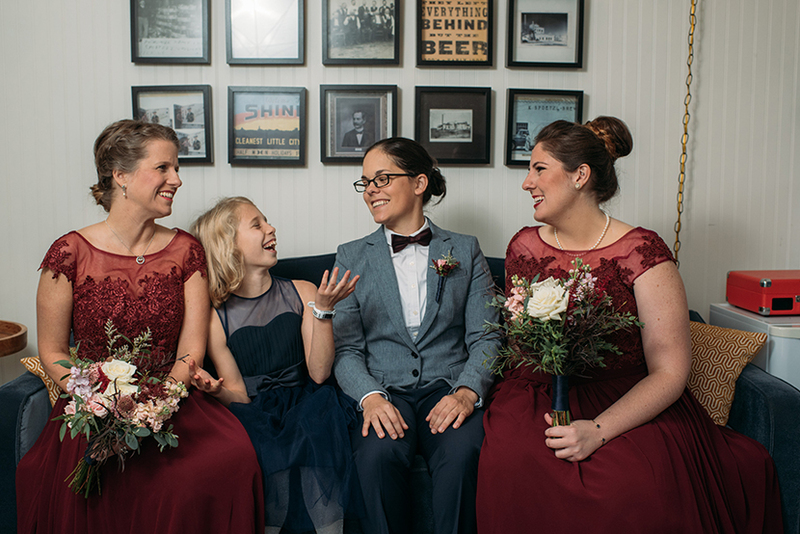 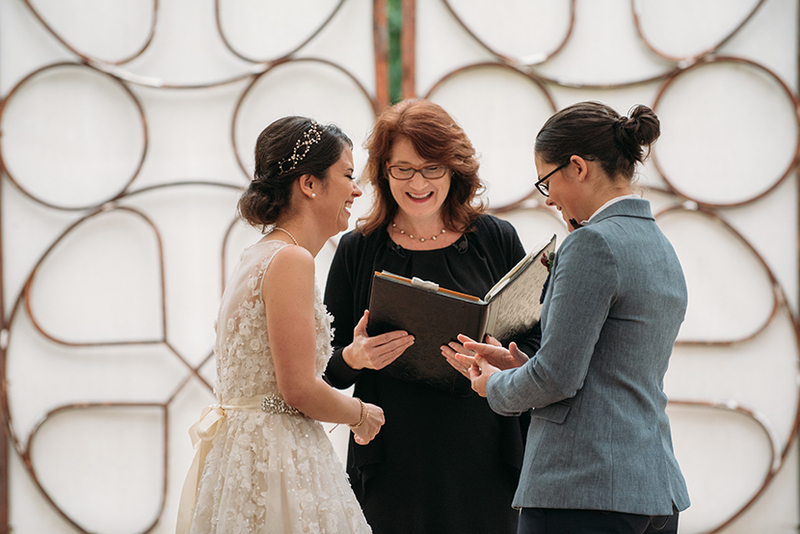 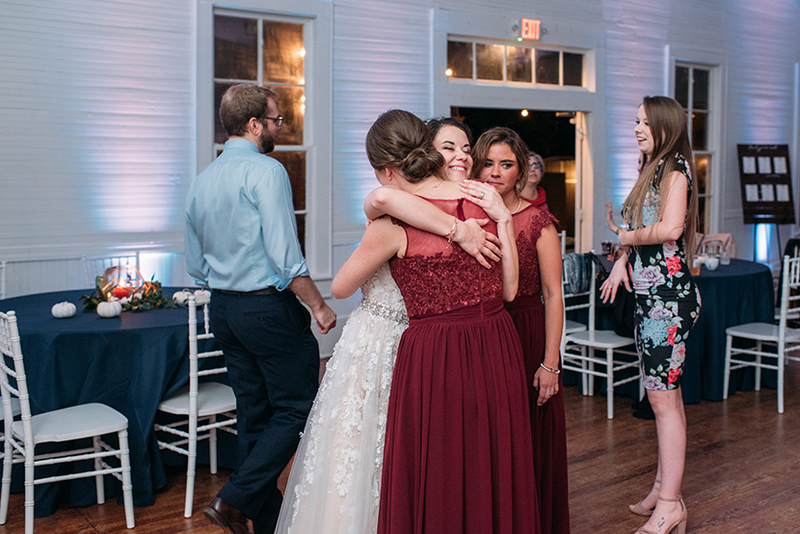 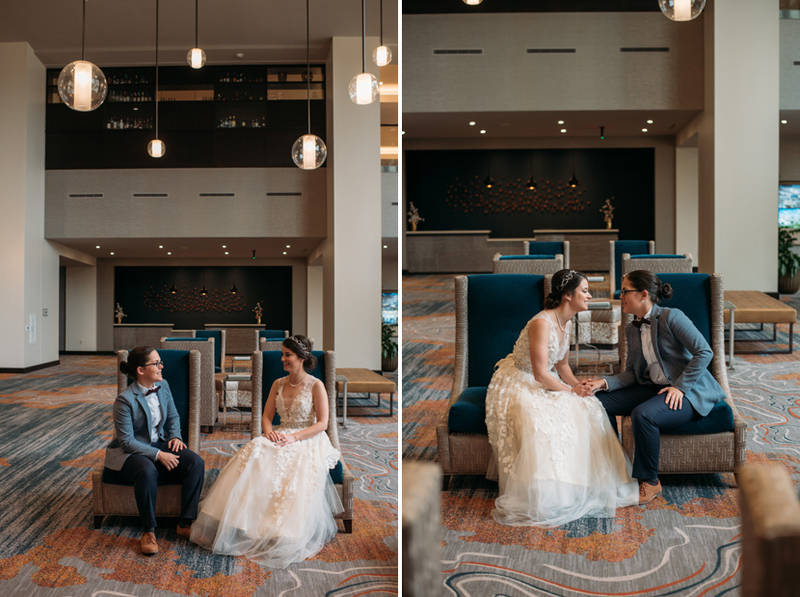 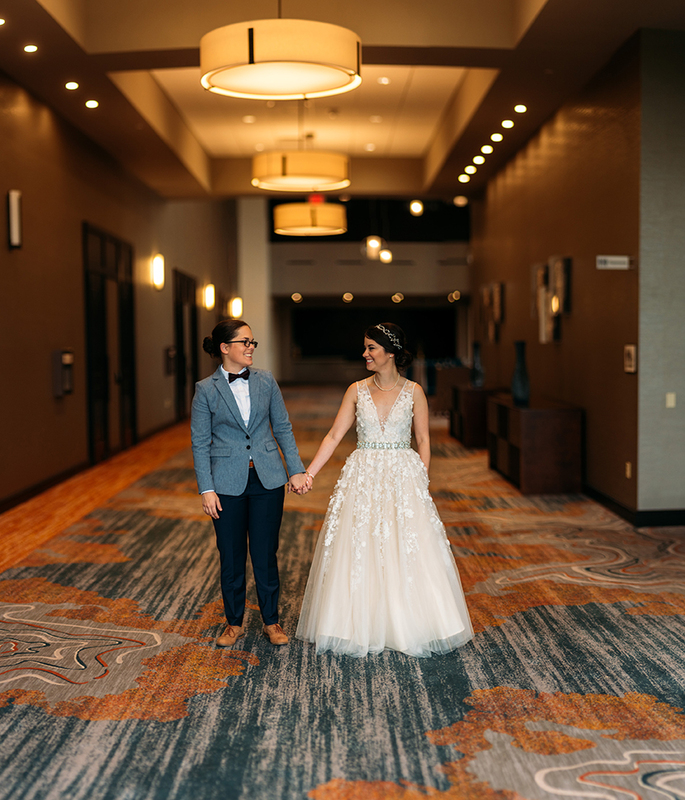 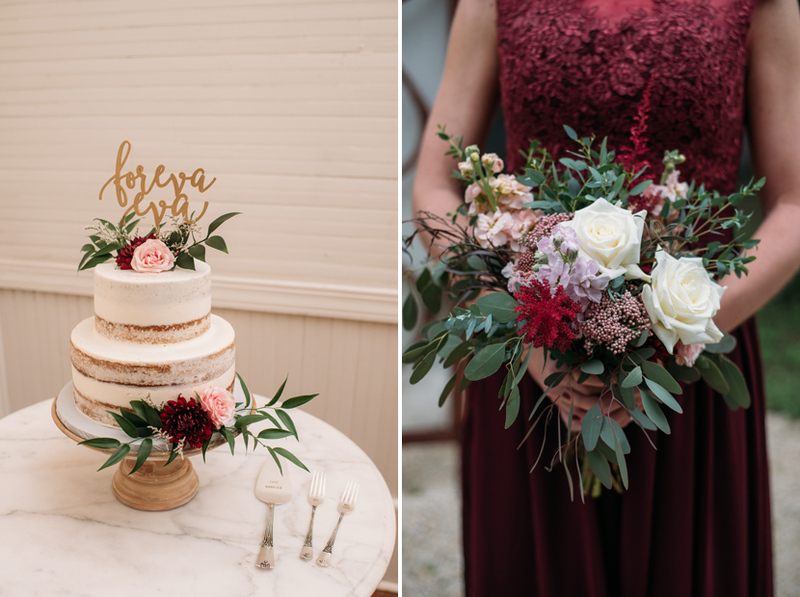 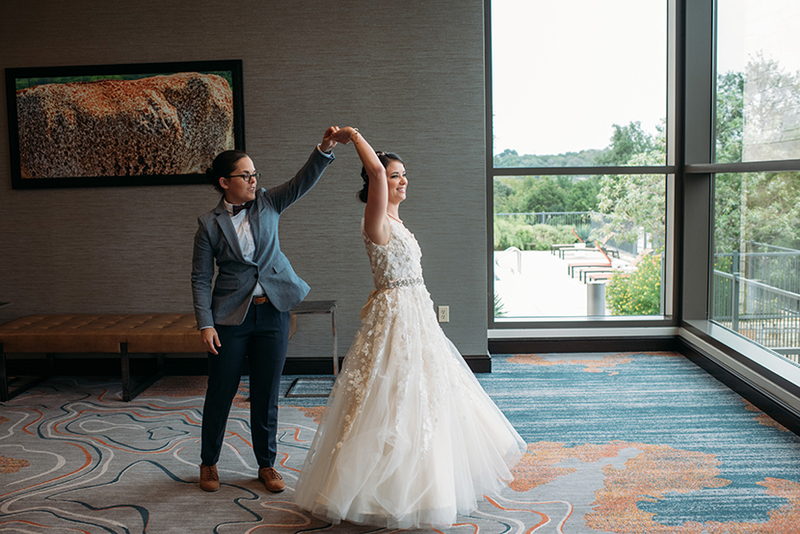 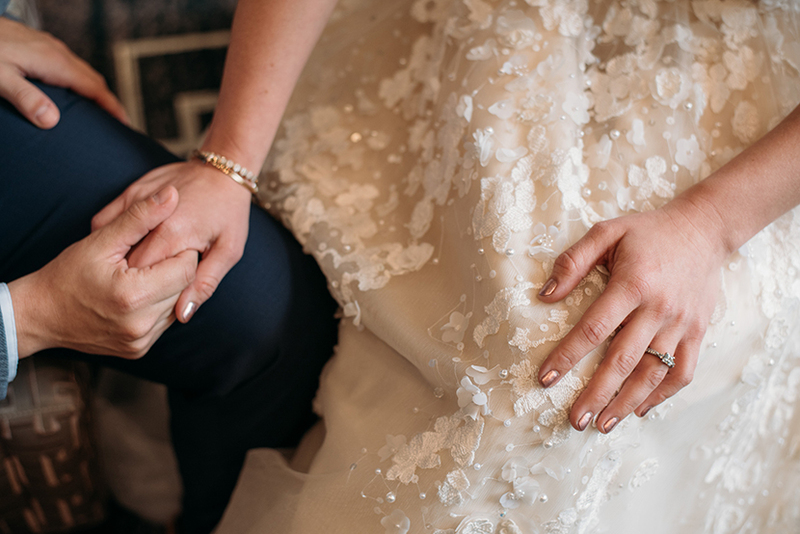 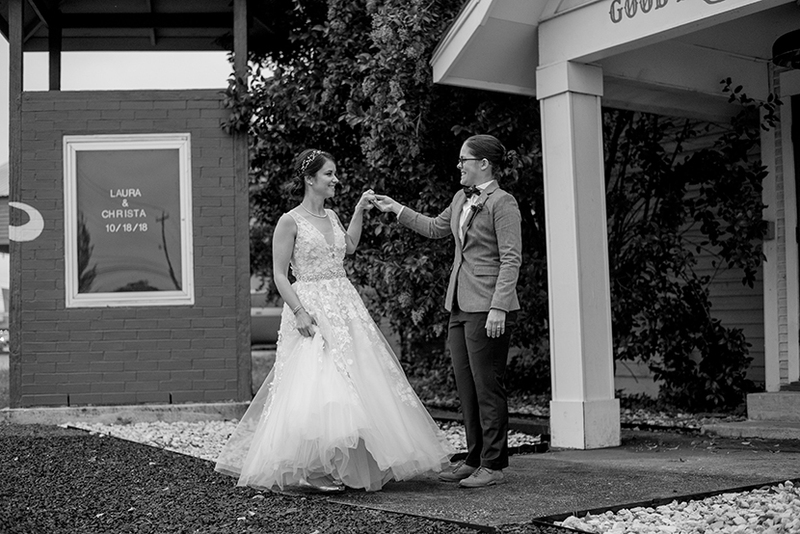 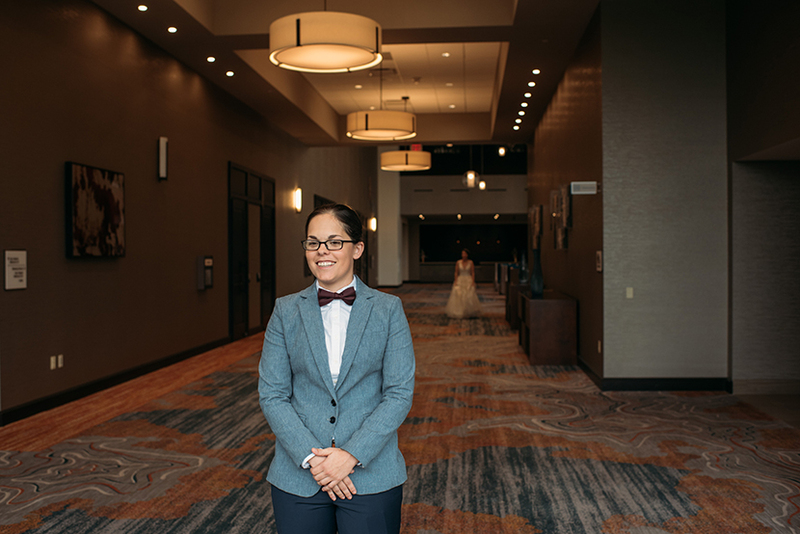 After a first look at the Sheraton Hotel across the street, Christa and Laura were married under the big, beautiful tent in Pearl Snap Hall’s ample yard. 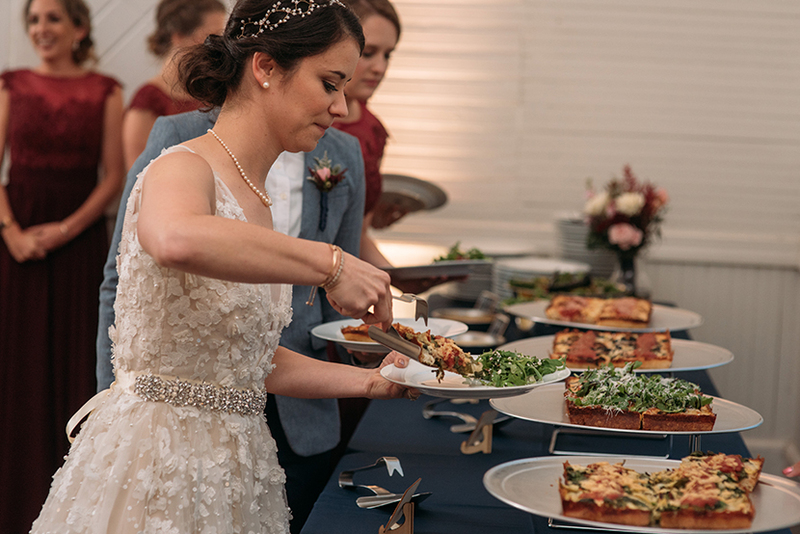 Guests were served specialty vegetarian pizzas from Via 313 and chatted and danced the night away. 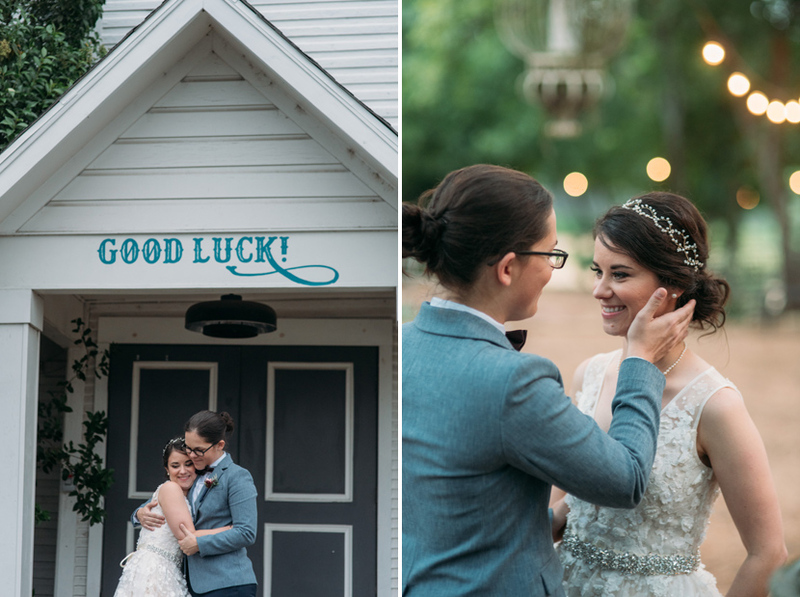 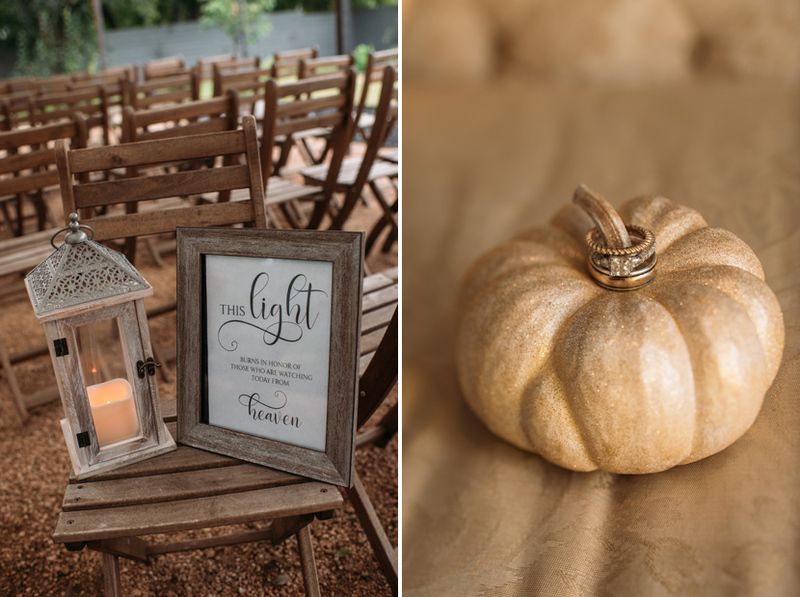 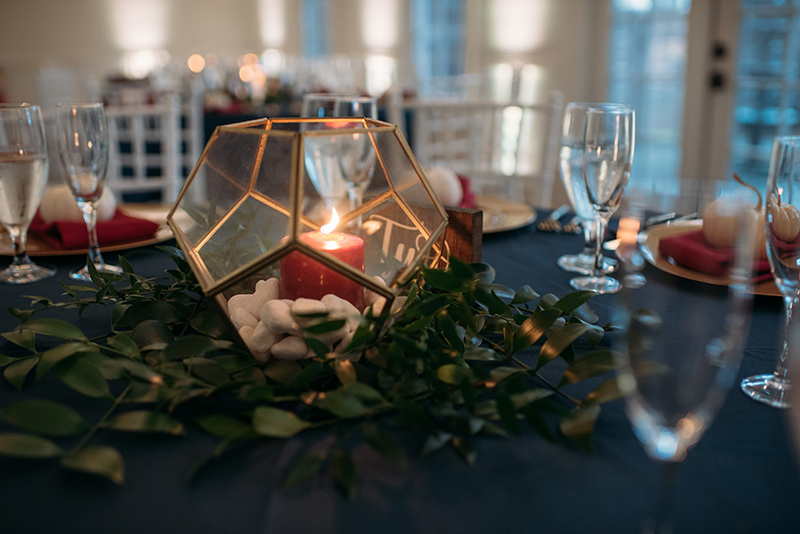 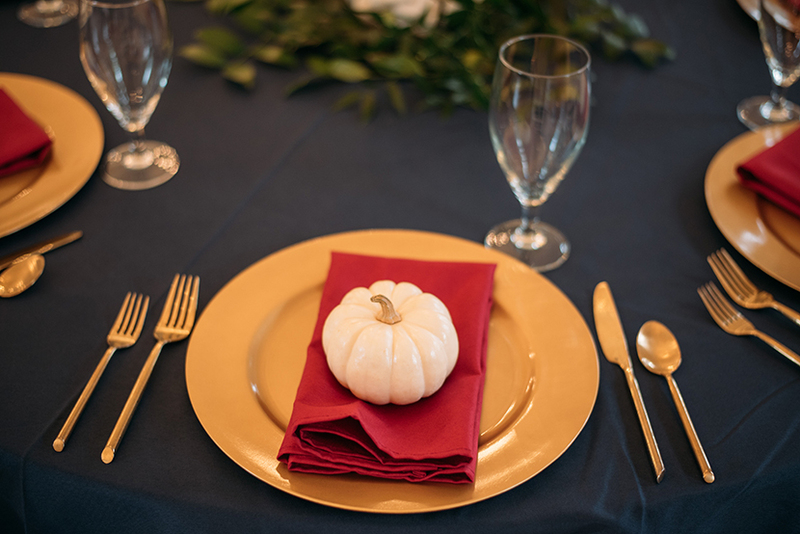 Be sure to scroll down to see all the vendors involved in making this wedding a success! 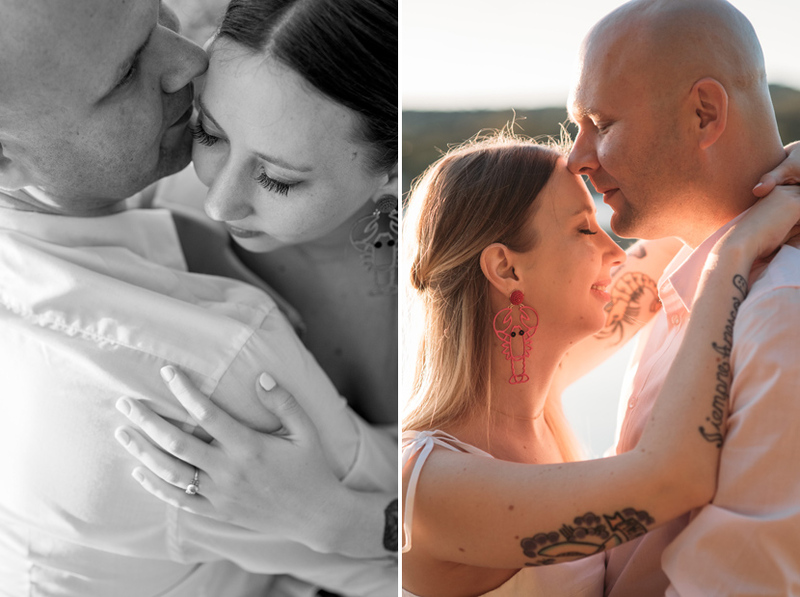 Okay, all of my couples are stylish, but I’ve never had one come to a session wearing lobster earrings and a matching pink moto jacket. 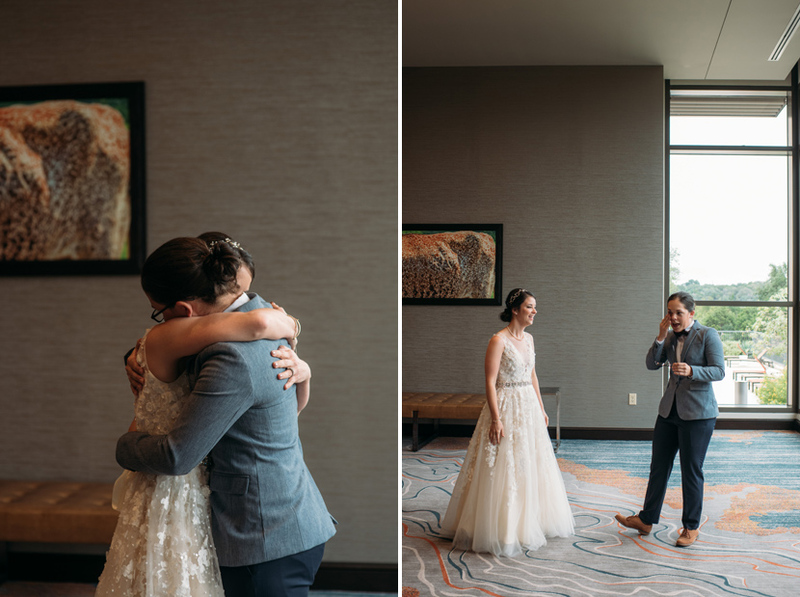 All the heart eyes!! 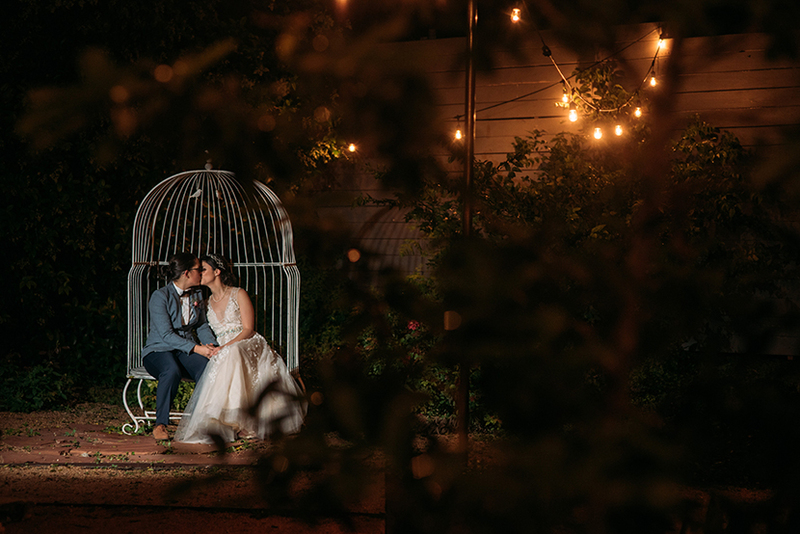 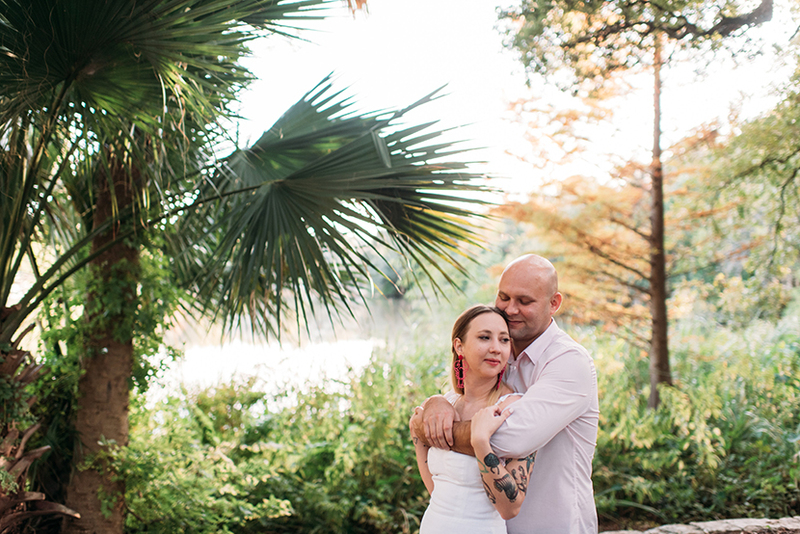 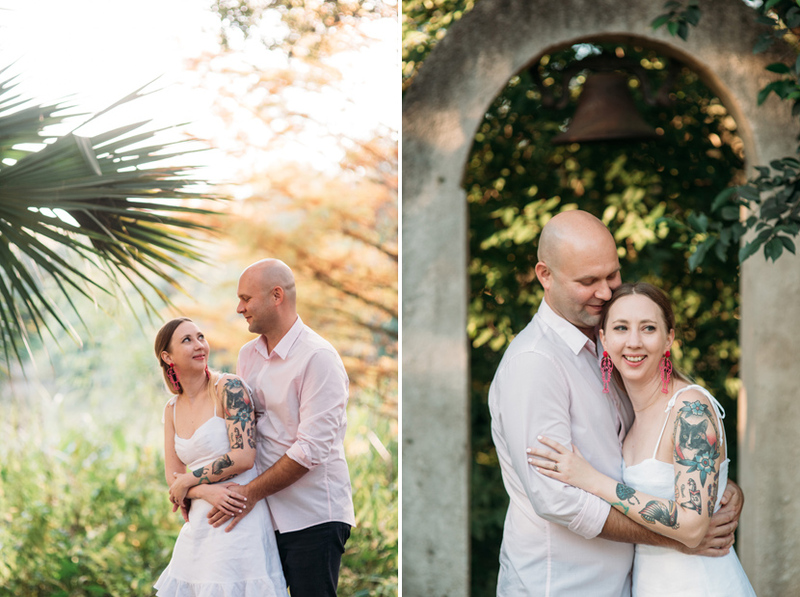 Lizzy and Sten reserved some space at the beautiful Laguna Gloria and we took advantage of the gorgeous Texas sun filtering through the trees. 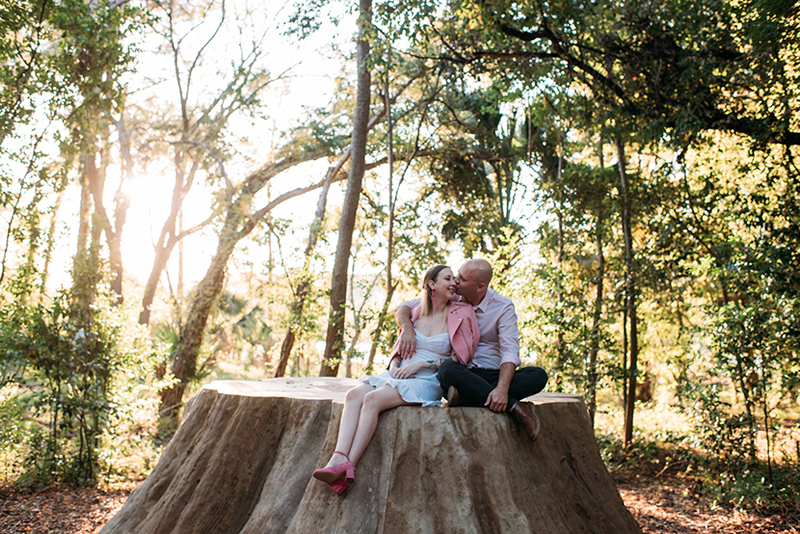 I always loved what I’d seen of Laguna before, but had never fully explored its depths on a perfect fall day — I’d never seen the giant tree stump sculpture, for instance — so it was great taking photos in and around the area with Lizzy and Sten. 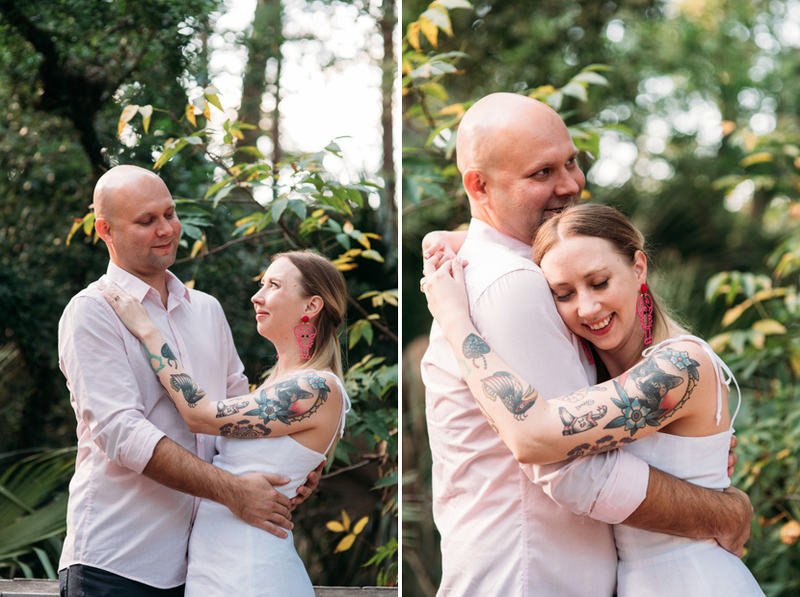 I’m super excited for their wedding this spring! 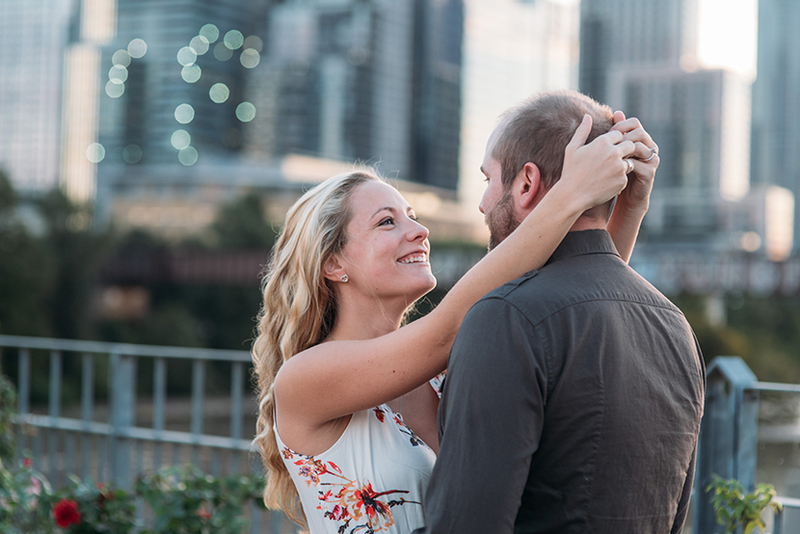 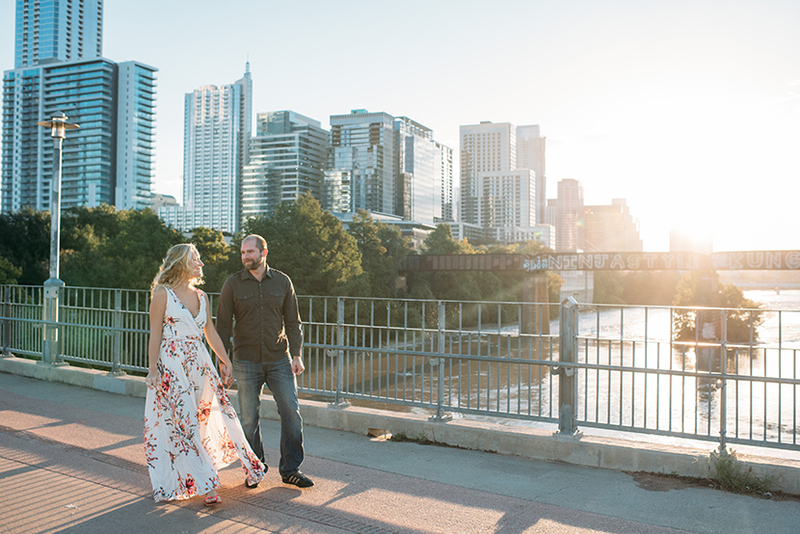 I met up with Alyssa and Andrius the weekend after the immense rains that flooded Austin; we were worried about more rain, but the sun rose that morning in spectacular fashion. 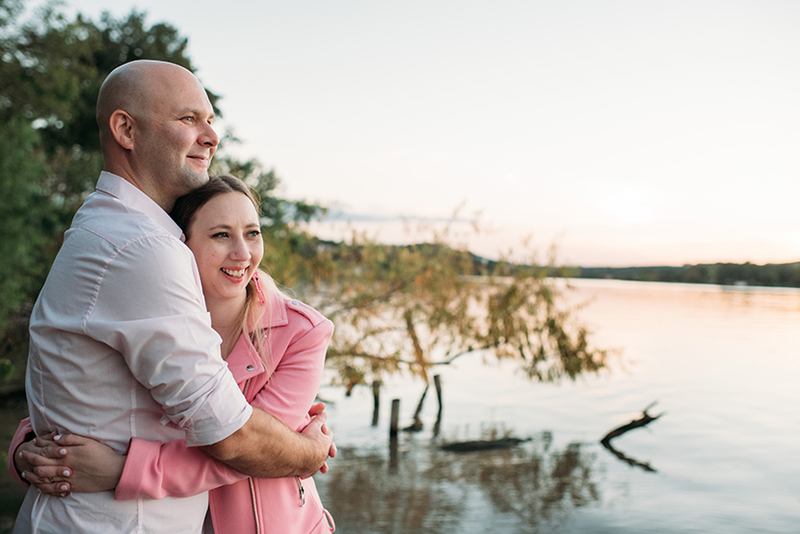 The only real difference was how high the river was on its banks — just look at the tree branches touching the water! 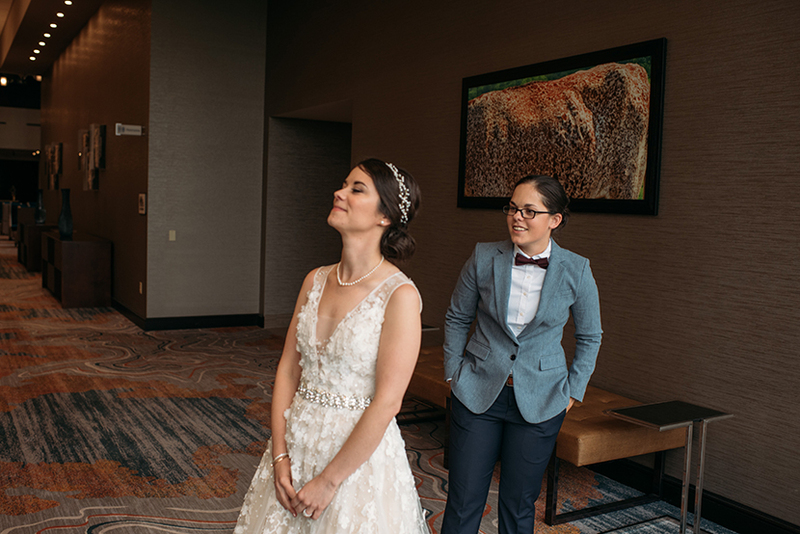 Alyssa is one of the kindest women I know: smart and compassionate, kind to animals, a teacher, a dog lover. 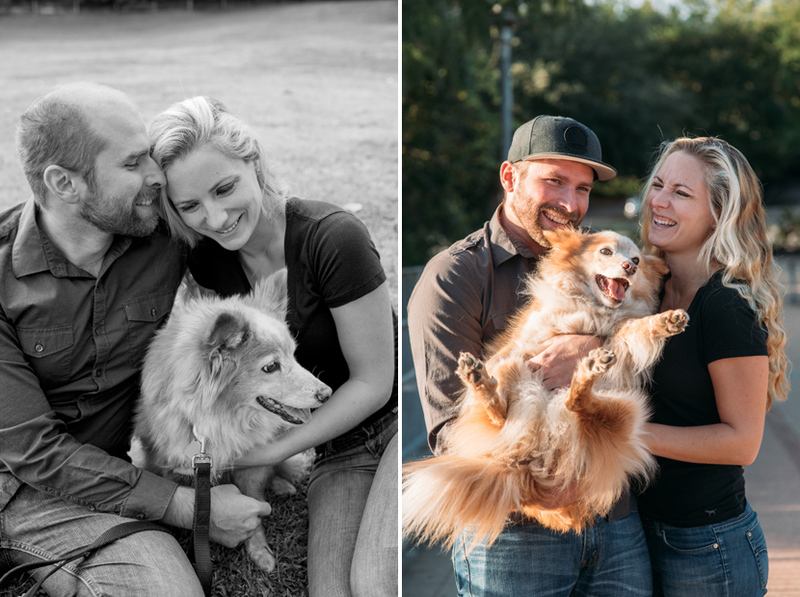 Andrius was quiet at first, but opened up as the session went along, and couldn’t stop smiling when their pup Ellie joined in. 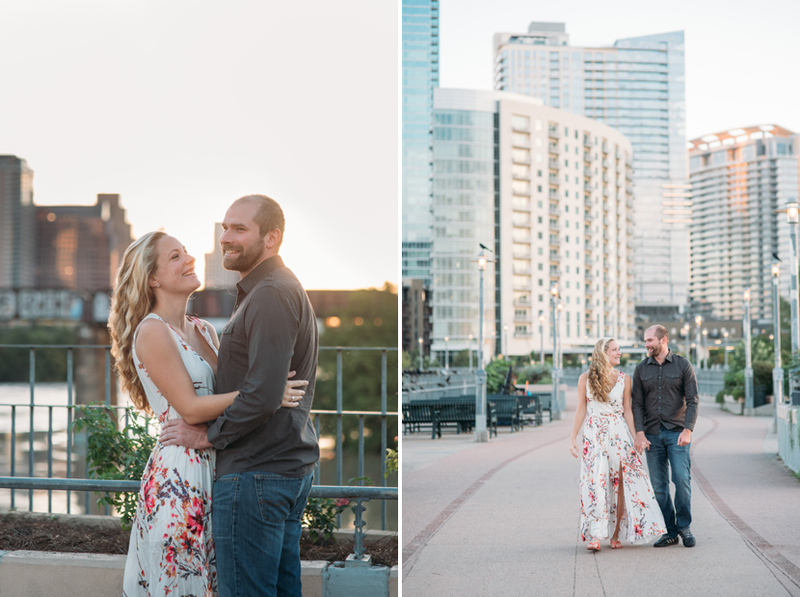 Only occasionally have I shot a sunrise session, but I loved how quiet the city felt. 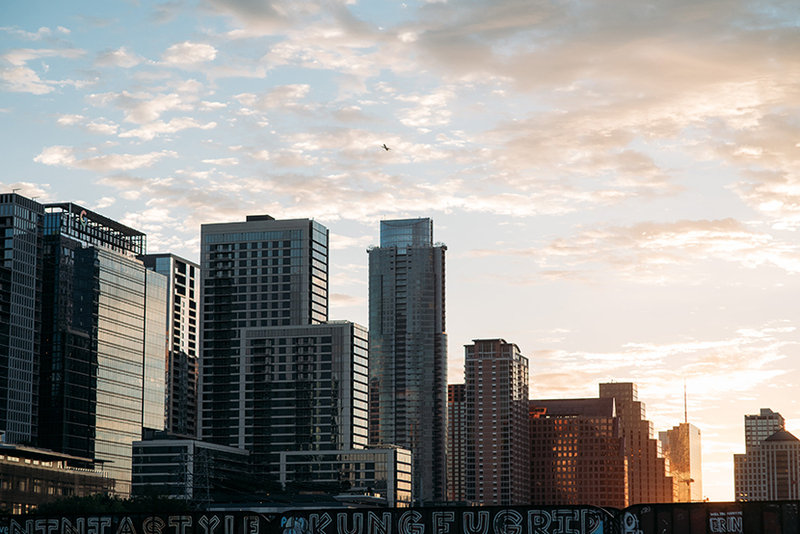 If you’re interested in shooting at sunrise, let’s chat, because I think it’ll be lovely to do more.